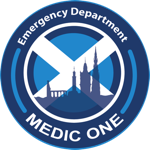 What an amazing week for @edinburghEM finalists at the HSJ awards 2014. A huge thanks needs to go to the whole MDT for making this happen. In case you missed any of it, our journey over the last year is summarised in these blogs and one amazing YouTube video! Enjoy!